A 3. 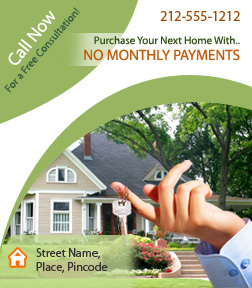 5 x 4 inch square corner mortgage full color magnet can be utilized by mortgage advisers or firms who wish to promote their brand in a unique way. Advertisers working in a small budget can always order these magnets and seek benefits of lowest customization fee. Also, they can save on shipping fees, designing fees and art set up because they are offered FREE!